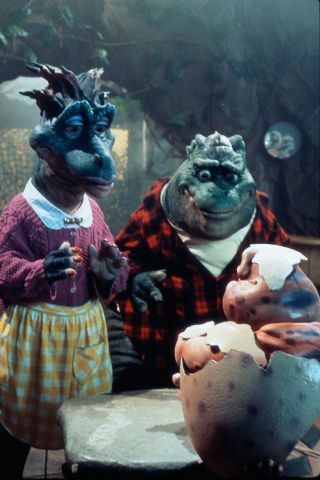 Hey there everybody, who all remembers that sitcom back in the early 1990's called Dinosaurs? Sound familar, but just can't quite place it? Well, how about if I said "NOT THE MOMMA!" 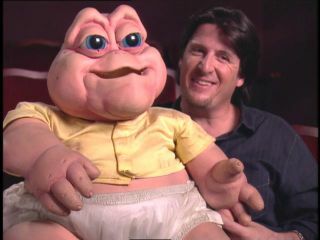 or "I'M THE BABY, GOTTA LOVE ME!"? Yeah, I bet that brought it all back. 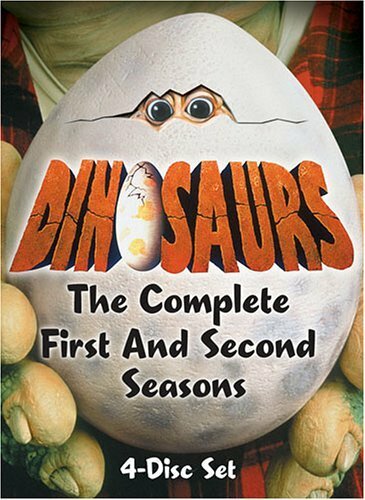 Dinosaurs was not only a very unique sitcom for it's time, but still remains to this day one of the most unique sitcoms ever. 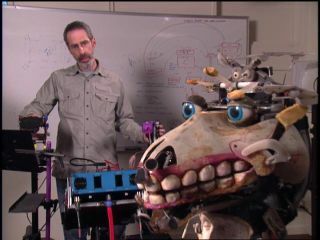 Unlike standard sitcoms, or even the animated sitcoms which are becoming popular, this one consisted of very advanced animatronics. You know, guys in very detailed and well textured suits with heads that required many tiny remote-controlled devices to create the various facial expressions. Think Teenage Mutant Ninja Turtles: The Movie, but with many more costumes. It's all pretty impressive, especially considering it's all done on a half-hour television show budget. I enjoyed the show when it first aired, though I definitely wasn't a mega-fan like many other individuals. I never found it all that funny, with usually only a few jokes here and there that actually made me laugh. I think mostly I watched it just because of how unique and technically impressive the show was. Of course, saying that, I also have to admit that the show did keep me entertained. Once I started in on an episode, I didn't want to walk away until I saw what happened. Sometimes it was predictable, but usually the plot seemed so off-the-wall that I really had no idea where they were going with it or where it would end up. 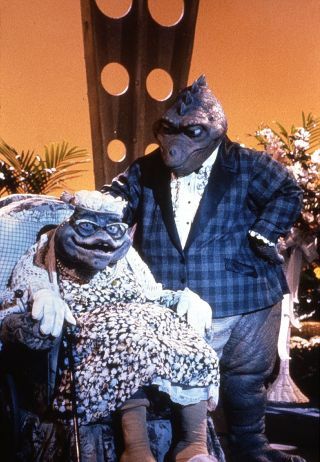 Then again, it was a show about a blue-collar family of dinosaurs, so I suppose weird stories were to be expected. 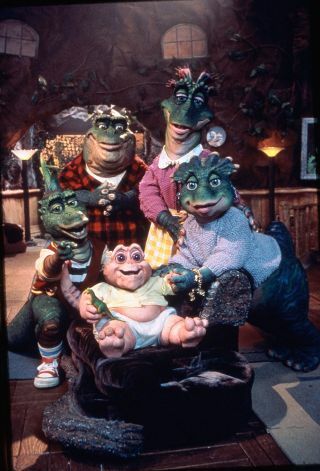 The series lays its focus on the Sinclairs, a family of dinosaurs consisting of Earl the father, Fran the mother, Robbie the 14 year old son, Charlene the slightly younger daughter, Baby the newborn, and Ethel the grandmother. 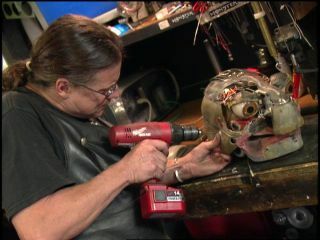 There are also several supporting characters, such as Earl's boss and Earl's best friend, and even more are introduced in the second season. 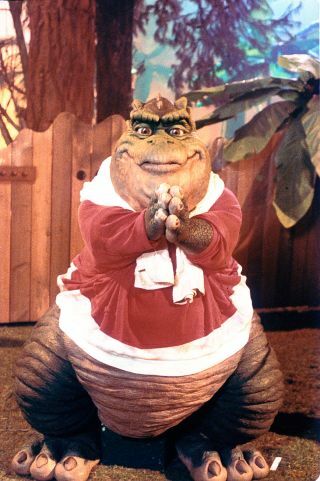 Of course, whenever they need to have new characters for one specific episode, they just take some of the existing non-main character dinosaur suits, slap a different set of clothes on them, and provide them with a new voice. It's kind of funny to see at first, but definitely understandable considering the budget and time constraints of a weekly half-hour series. 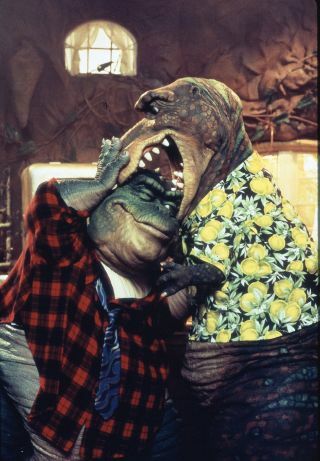 It just wouldn't be practical to make a completely new dinosaur suit just to use one time in one episode. Upon getting and watching this DVD release, which contains the entire series, I once again felt what I felt when I originally watched it. It's enjoyable, and I'm entertained, but I just don't laugh as much as I do on other much funnier sitcoms, like Family Guy or the now canceled Andy Richter Controls the Universe. Still, the fact that I still feel the same way about the series means it ages pretty well. 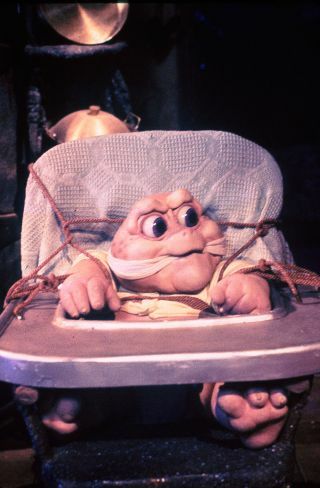 I know a lot of people loved the slapstick aspect, and especially the baby when he yelled "NOT THE MOMMA!" and hit Earl over the head with the frying pan, put honestly I think I would have like the show more without that little brat. I don't know why, but he just annoyed the heck out of me. But the show does work on two levels, the slapstick for the kids and the story social commentary for those old enough to understand it. The extra features that are packed into this set are very few, but the ones they do have are pretty nice. 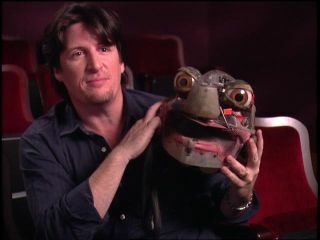 The making-of featurette was quite revealing, even though I had already seen several similar ones on the creation of animatronics, because discussing and showing off the animatronics were only a part of the whole making of the show. Then they also showed early sketches of the characters and sets, and how they morphed into what eventually made it onto the show, which was interesting to take in. All-in-all, watching this again was a nice trip down memory lane, and I'd recommend seeing it if you ever get the chance. 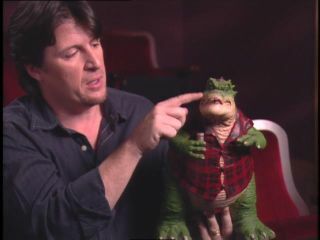 Pre-Hysterical Times: The Making Of DINOSAURS: Get a first-ever behind-the-scenes look at how Jim Henson's Creaure Shop brought the dinosaurs to life. 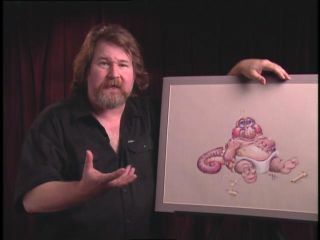 Creating DINOSAURS: The Sketches That Started It All -- Character designer Kirk Thatcher takes viewers through his original designs for the dinosaurs. Dino-Eggs: Join the adventure and excavate all the buried bonus clips!